With “oslo” Mette Edvardsen continue the process of writing that sha has developed in previous works. In the trilogy “Black” (2011), “No Title” (2014) and “We to be” (2015), Edvardsen was exploring the possibilities and limits of language and how this extends into real space. The access to imagination took place through language, and the closeness to the audience developed with the writing. With “oslo” she aims at another way of generating presence and imagination, where not only the performer on stage is central to what is taking place. This time the writing extends into the whole theatre space, multiplying the voices, the actions, the moments, the imaginations – the things and the beings. On 21st February we are celebrating the beginning of this season at MDT in our foyer after the performance. Karolina Oxelväg will be showing some videowork. On 22nd February, after “oslo”, there will be a launch of a double publication by VaramoPress with “Something Some things Something else” by Jeroen Peeters and “Not Not Nothing” by Mette Edvardsen. This quest inspired the performance artist Mette Edvardsen to make a series of solo works, from Black to No Title and We to be to oslo. The trail of booklets, postcards and ephemera published in their margins provided writer Jeroen Peeters with a particular lense to look into Edvardsen’s detailed world. The encounter yielded three collections for Mette Edvardsen, essays that honour the literary tradition of composing with fragments and loose ends in search of something. Trying to do as little as possible so that a sense of something else might occur – what’s the space of reading such writing? 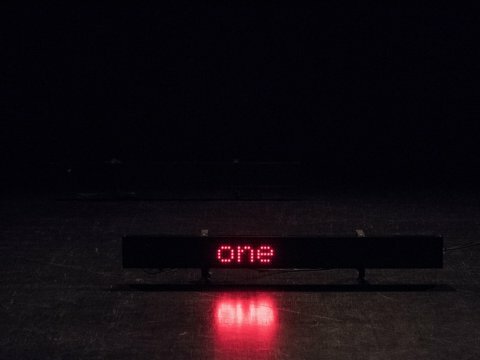 This publication brings together the texts from the pieces “Black” (2011), “No Title” (2014), “We to be” (2015) and “oslo” (2017) created and performed by Mette Edvardsen. 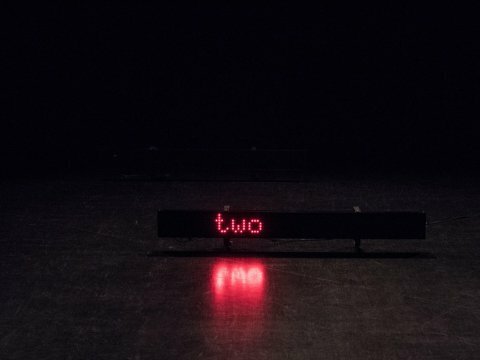 These pieces have been developed using language as material, looking into the relationship between writing and speaking, between language and voice. 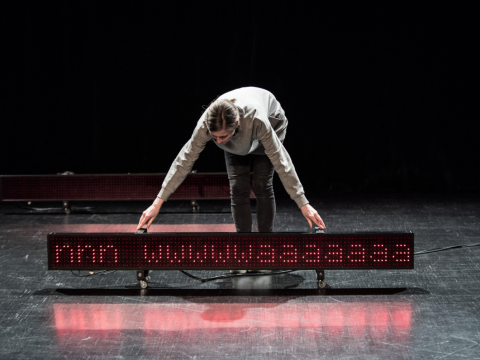 Mette Edvardsen is working on the verge of the visible, considering choreography as writing. The work of Mette Edvardsen is situated within the performing arts field as a choreographer and performer. Although some of her works explore other media or other formats, such as video, books and writing, her interest is always in their relationship to the performing arts as a practice and a situation. With a base in Brussels since 1996 she has worked for several years as a dancer and performer for a number of companies and projects, and develops her own work since 2002. She presents her works internationally and continues to develop projects with other artists, both as a collaborator and as a performer. A retrospective of her work was presented at Black Box theatre in Oslo in 2015. Mette Edvardsen is structurally supported by Norsk Kulturråd (2017 -2020), BUDA Arts Centre Kortrijk (2017 – 2021) and apap-Performing Europe 2020 – a project co-founded by Creative Europe Programme of the European Union. She is currently a research fellow at Oslo National Academy of the Arts and associated artist at Black Box teater Oslo.